Need some not-so-scary ideas for dressing up the front door this Halloween? 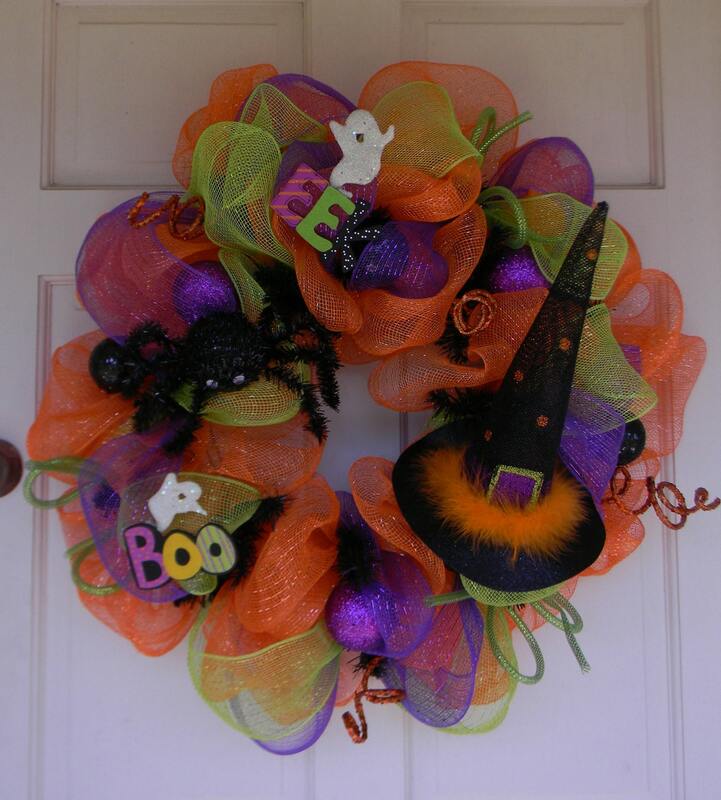 Check out these neat images of Halloween wreaths, many of which the do-it-yourselfer can easily make. If you make one of these wreaths, be sure to let the original creator know that you did. Happy decorating! I really like the top one. I try to avoid the typical monster look for Halloween and I love these ideas! 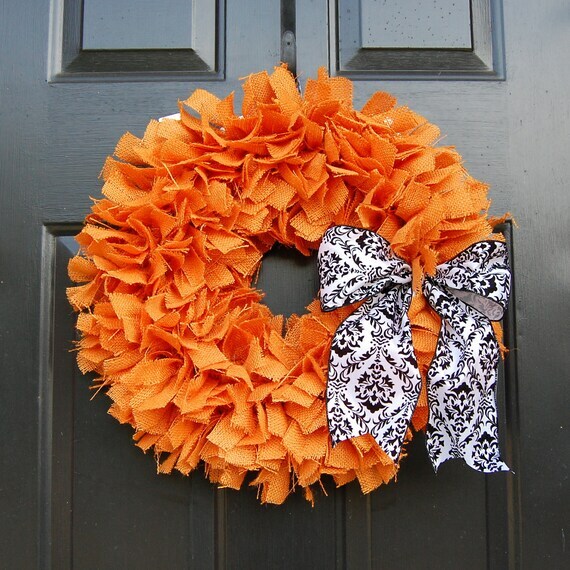 Love the Black Burlap wreath! SO cute! What kind of “naked” wreath did you start out with and what size is it? This looks like just strips of burlap that you tie on and then tie on the letters or decorations…Really wanna try this for my front door this year! Thank you for sharing!